The high school dropout turned successful serial entrepreneur has undoubtedly left his mark on this world. 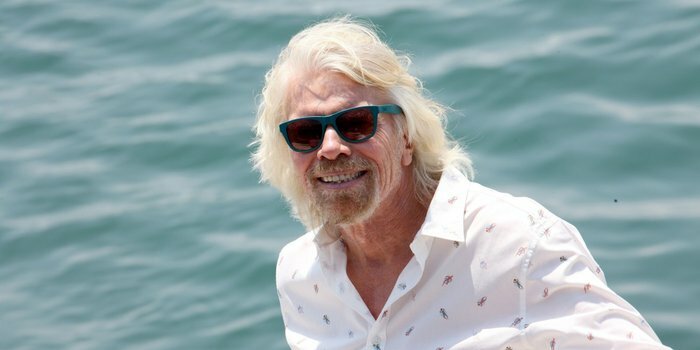 Richard Branson has proven that anything is possible with the power of a strong mindset. With more than R300 businesses under his belt, Branson teaches creative entrepreneurs to take action with passion without overthinking it. The phrase "creative entrepreneur" far extends the definition of “starving artist." With millennials running the ship, entrepreneurship has taken on a whole new life. Their biggest obstacle is getting caught up in the mindset blocks that keeps them from taking action and making their dreams a reality. These four mindset shifts will help creative entrepreneurs bridge the gap between their dreams and success. 1. Surround yourself with high achievers. Having a mentor, coach or someone you look up to will show creative entrepreneurs what’s possible helping them turn their goals into moving targets. By having the support of a mentor or coach, entrepreneurs are more likely to succeed. Their knowledge, guidance and impact are invaluable. 2. Cultivate a larger-than-life appetite. Related: Stepping Into Big Leadership Shoes? 3 Ways to Bring Your Own Pair. Setting big, seemingly impossible, goals force creative entrepreneurs to work harder, stay hungry and stretch their potential. Their ability to stay focused will help them to achieve more inspiring more creativity and innovation. Those initial big picture goals will only continue to grow as they continue to achieve each milestone and realize what they’re capable of. 3. Live a life of adventure and curiosity. As creative entrepreneurs, it’s easy to seek the money especially since creative fields are known to pay less than technical. Success comes when passion is pursued and achieved. Focus on one thing you’re good at, and do it really well. Make yourself an expert in your field and become the go-to person for that specialty. 4. Choose messy action over perfectionism. If you have the passion and drive for what you do, take the leap, and figure it out along the way. People believe they need the certifications, the perfect strategy and every decision written out in detail when all they really need is to take action. Forward momentum is better than no momentum. Life is about trial and error. Take action, make mistakes, learn from them and try again until you get it right.